Project in cooperation with the Scottish Government. 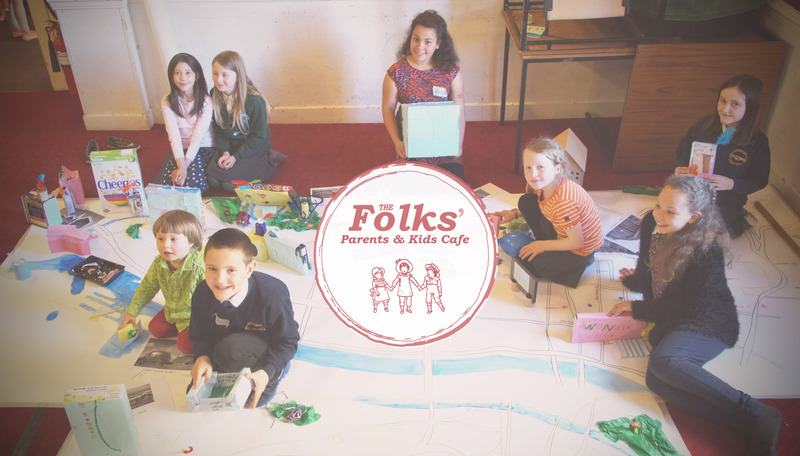 The Folks’ Cafe’ is a sustainable creative collective in Glasgow which enables families to form mutually beneficial relationships. 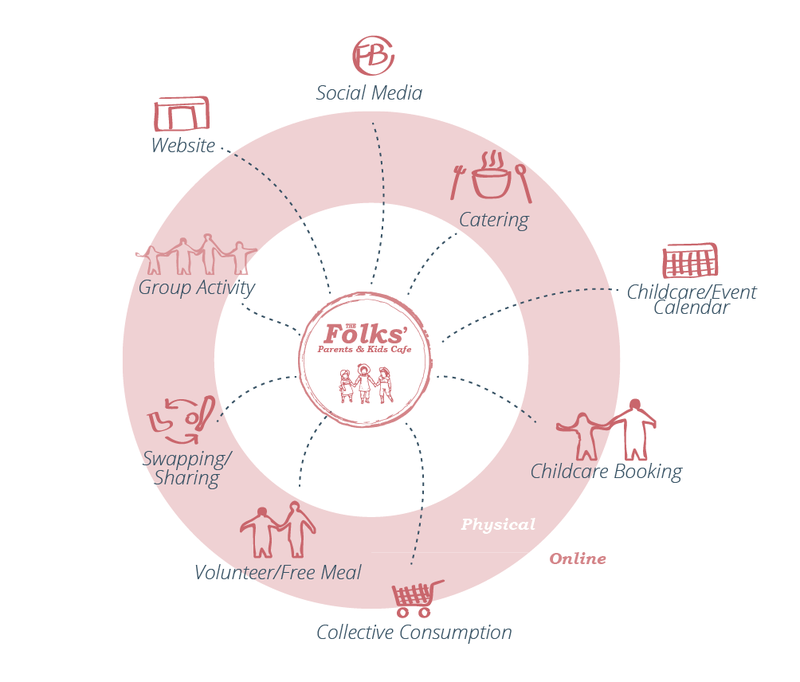 It is based on a sustainable social enterprise model to create a physical space allowing families to interact with each other and provide rotational, free childcare services. 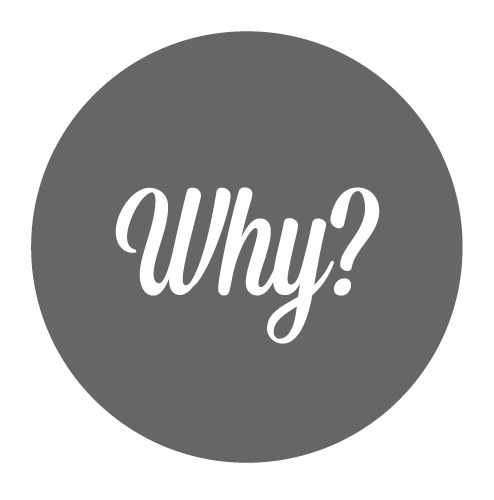 What is the role of the community in raising a child? The number of household where both parents or a lone parent are working is higher than ever before. At the same time, the UK has the highest costs of childcare for any country apart from Switzerland. In this context, it is not surprising that for the first time childcare became one of the key issue in the general election 2015 (source: daynurseries.co.uk). 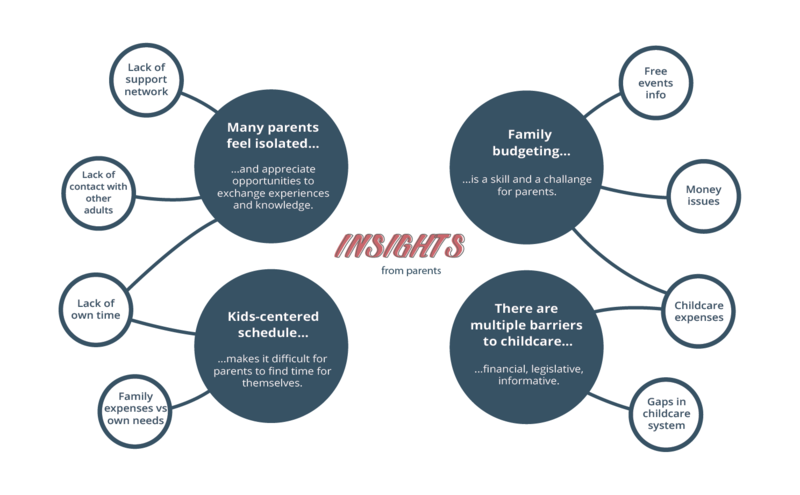 We were interested in looking at how we might be able to facilitate relationships where trust was at such a level where parents would be able to rely on each other for safe childcare. 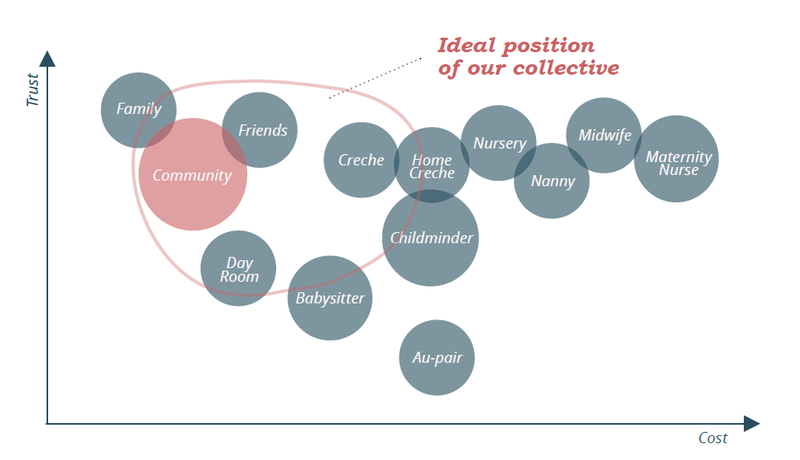 We analysed existing types of childcare in the UK, mapped them against their cost and required trust and spotted a gap in the “community” space where trust is high, but cost is low. Millions of pounds have been put into research into what are the barriers for lone parents and it’s still… childcare. 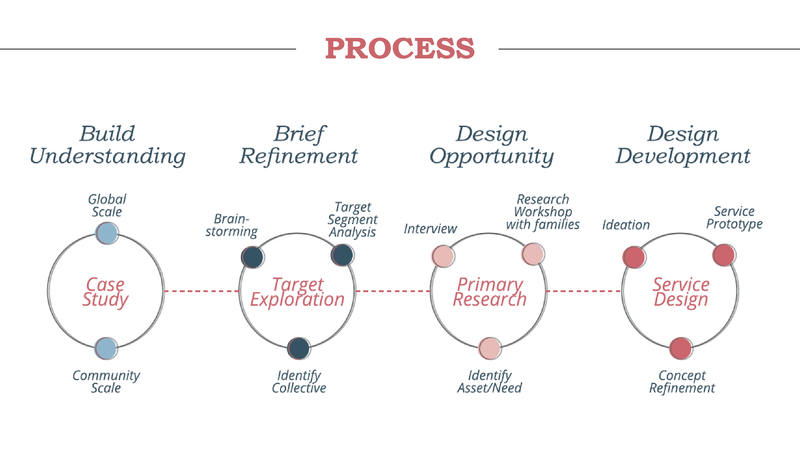 The process that we went through can be divided into four main phases: two when we tried to understand what the brief is about and how can we narrow it down to a more specific topic, and the two phases of developing the project through ethnographic research and the final design and prototype of a collective. 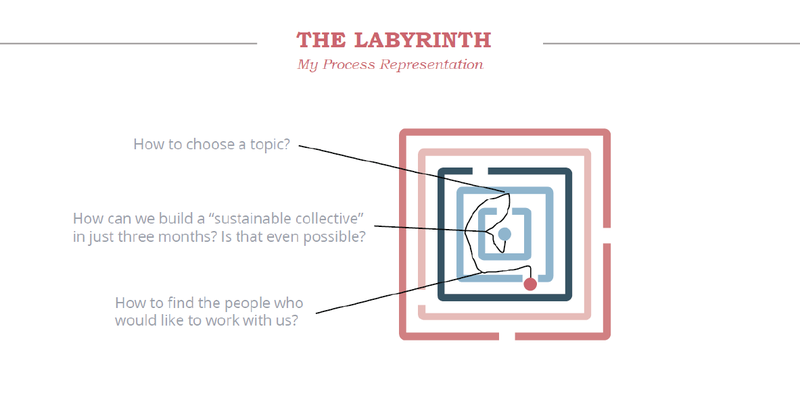 Thinking about the process now from the personal perspective, I realized that it reminds me of a maze that we needed to walk through and find a way out (and usually there is not only one way out). Each design phase is a layer in the maze, each wall hit is an obstacle that we encountered and each passage is the way we took to proceed in order to get closer to our final design. Our research event, Family Design Jam, was held on Saturday 11th April 2015. 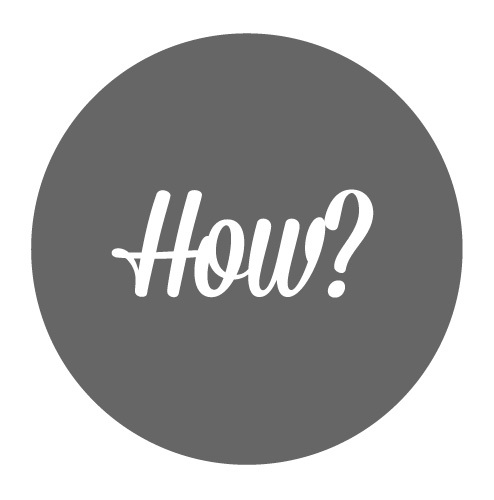 The event was designed to allow us to undertake research with participants, potentially leading to the beginning stages of collaboratively designing a solution. 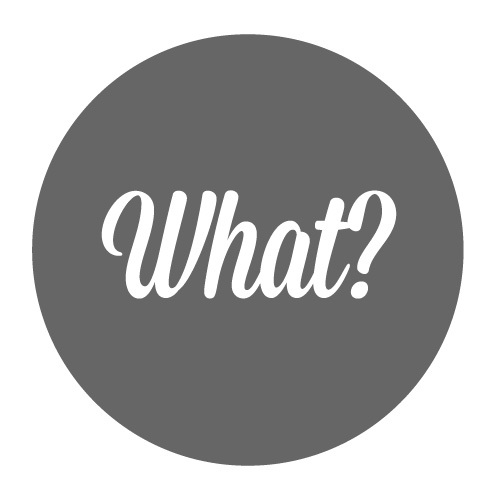 The event was ultimately used to identify tensions, look at ‘what if’ scenarios and then formulate initial concepts with our attendees. 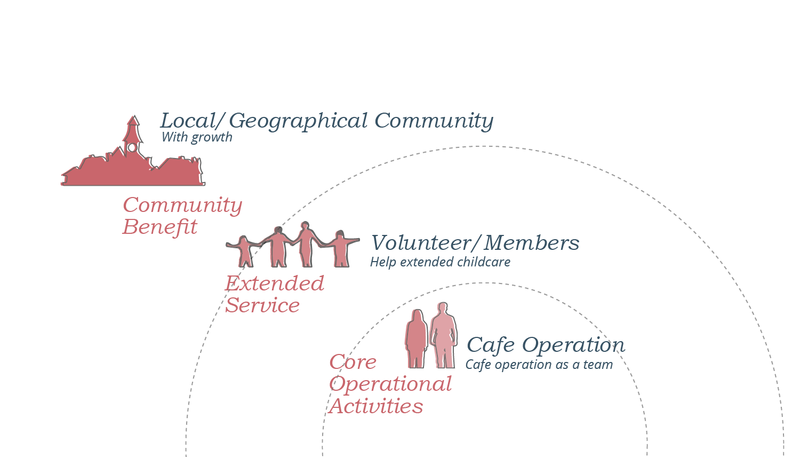 We ran a prototype event at the Garnethill Multicultural Centre to test the Folks’ Cafe concept and to see how it would be received by the families. Besides having a creative space for kids, where parents were also welcome, we provided a cafe area for parents. The event encouraged families to share with each other their favourite places in Glasgow (parks, museums, their homes) and to recreate them out of junk. Then they could add them on the big map of Glasgow that was on the floor. The event was greatly attended and managed to attract attention of the local authorities; both parents and kids showed enthusiasm and asked when the event would happen again. 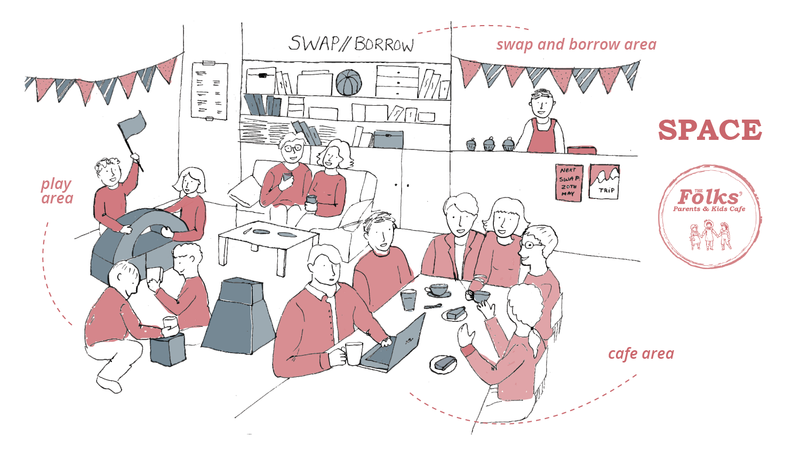 The Folks’ has now the potential to become a space that the community can have ownership of, to use as they need.